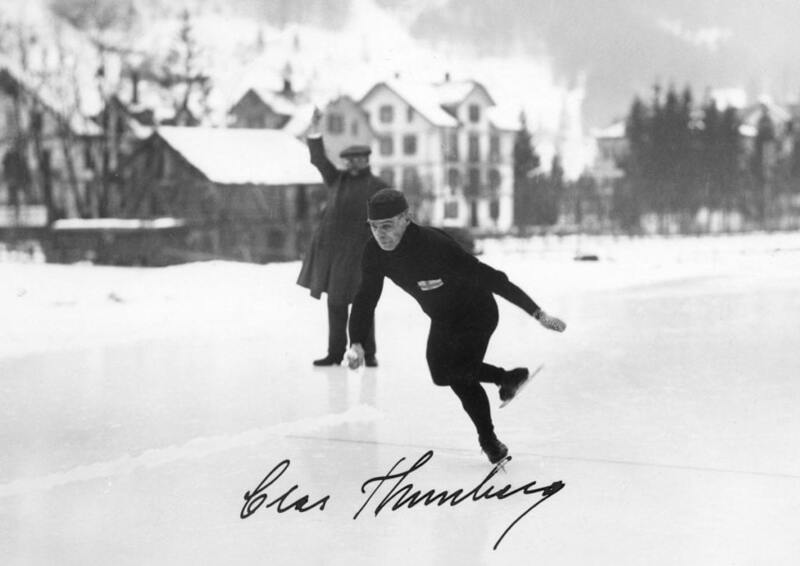 Clas Thunberg was the most successful speed skater in the world in the 1920’s. Winner of five gold medals, he still ranks high in the list of best Olympic athletes of all time. In 1924 Thunberg won three gold medals at the inaugural Olympic Winter Games in Chamonix. Four years later in St. Moritz he took two more Olympic titles. In 1932 Thunberg was still in form but he refused to travel to the Lake Placid Games were Olympic medals were decided in unfamiliar mass start races. In addition to his seven Olympic medals Thunberg won five overall titles at World Championships and four at European Championships between 1922 and 1932. He was especially popular in Norway, where thousands of people including the king came to see his farewell race in Oslo in 1935.